02/10/2018 Taken while still under construction. 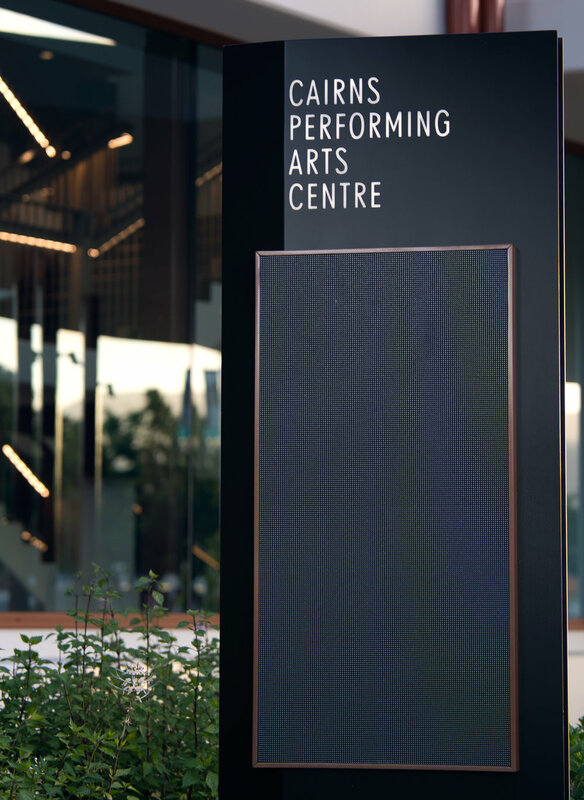 The Cairns Civic Theatre has been revamped into the Performing Arts Centre. Directly opposite Monroe Martin Park it is a beautiful addition to the area. It is also, as I discovered, home to a family of what I think are Bush Stone Curlews. 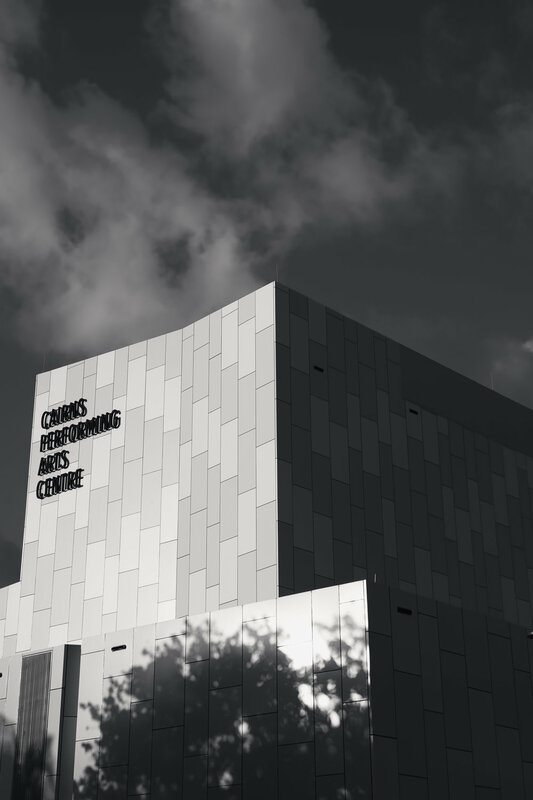 I was walking around the centre taking some photos when I stumbled across them. When you get too close to their chick they do this. The adult birds can fly but having a young chick that could not, they were going to stand their ground. When freezing does not work and something they are not sure of gets too close they spread their wings like in the photos above and give of a hissing sound. The male and female look very similar. The male and female are very similar in appearance so I have no idea which is which in the photo above. I sat down for about half an hour with them. 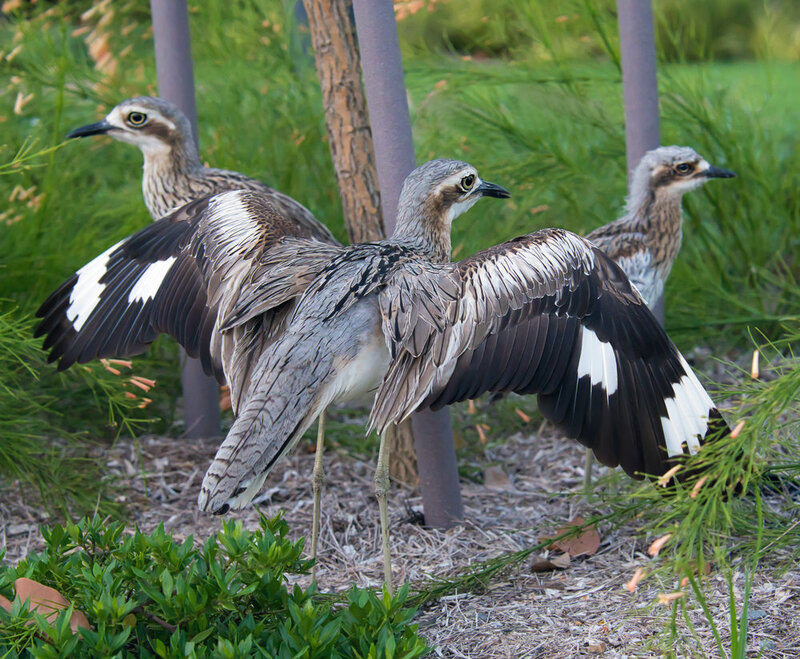 The Bush Stone Curlew are also known as Bush Thick-knee. 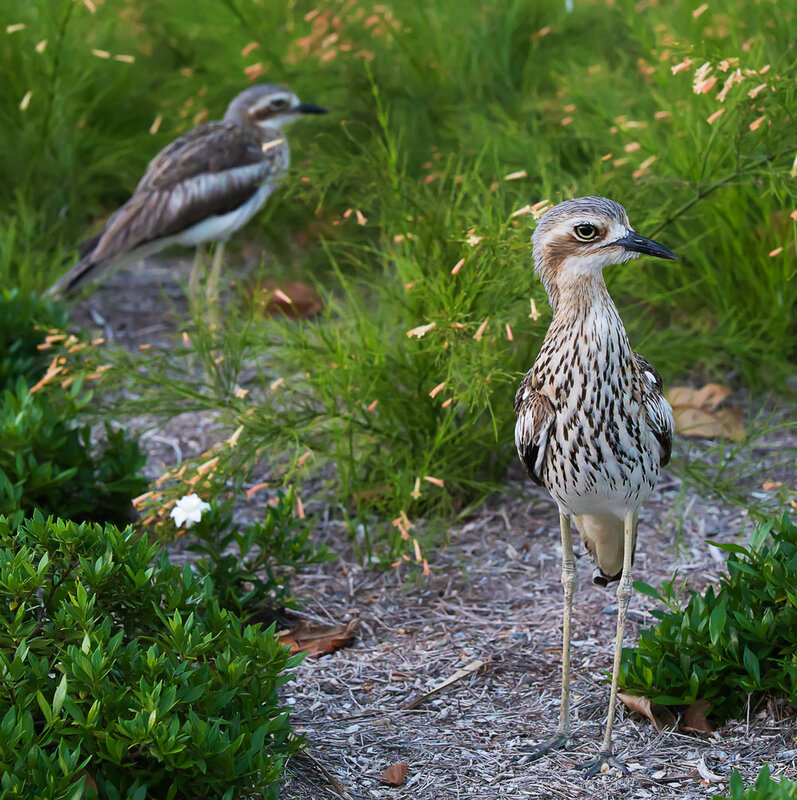 The Bush Stone Curlew are also known as Bush Thick-knee which you can clearly see why in the above photo. They are mainly nocturnal and these photos were taken near sunset. These birds are responsible for the high pitched wailing, a ghost like call, you hear at night in this region which is their contact call for each other. They let me get very close. Their natural instinct is to freeze when they feel threatened. The above photo was taken from about 3-5 feet away. I often go to a place to take photos of one thing and end up shooting another. For those that are into photography it was getting quite dark and I had to shoot these at ISO 2000 or greater with this zoom lens at 105mm as wide as it would go at F4 hand held.